What is XactPay Workers Compensation? XactPay is Hartford's own Pay As You Go workers compensation program for small business owners who want to report and pay premium online or through their QuickBooks software. XactPay workers comp helps improve cash flow and reduces audit exposure by allowing employers to pay their premium based on actual payroll. We are a national Hartford partner agency and XactPay program experts. XactPay makes it easier than ever for small business owners to purchase a Pay As You Go workers comp policy. The program is perfect for QuickBooks users as well as employers who prefer to report their payroll wages online via Hartford's secure web portal. We're proud to partner with The Hartford and to offer XactPay workers' compensation coverage. As a national Hartford Focus Partner, we work closely with The Hartford to offer the most convenient billing solutions like XactPay Pay As You Go workers compensation insurance. Once we bind your Hartford policy, our Hartford Specialists can help enroll your business with XactPay online. The registration process is quick, easy, and only takes a few minutes to enroll. New customers have two weeks from the time the policy is active to enroll or confirm they want the XactPay program option. XactPay Xpress is Hartford's direct Pay As You Go program. 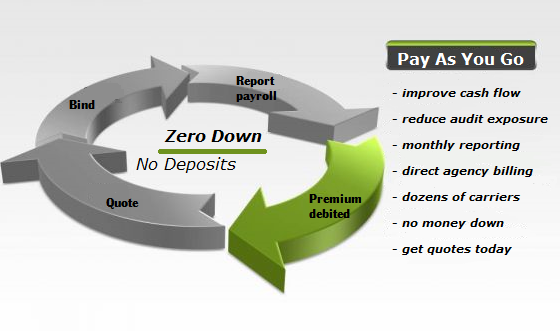 The Xpress program enables employers to report their payroll and calculate their premium online without QuickBooks or any dependence on a payroll processing company or other software. No premium deposit is required with XactPay program. Each time you process a payroll for your business, simply login to your web secure account at XactPay.com, and enter your payroll information for your most recent payroll period or at the end of each month. XactPay emails an invoice and collects premium via and electronic debit from your designated bank account. Employers who process payroll using QuickBooks (2007 or newer) are eligible to download the free QuickBooks reporting module. XactPay for QuickBooks allows a small business to run payroll with QuickBooks and then use an software upload utility to send the information to The Hartford via QuickBooks. The XactPay program calculates premium due based on actual payroll processed, emails an invoice to the business, and then drafts your checking account for the exact premium due. The Hartford is one of the largest insurance carriers and workers compensation providers in the nation, with over 200 years of experience and commitment to small business owners. 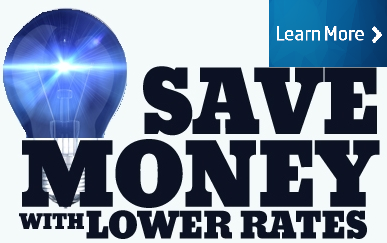 Let us show you why The Hartford offers superior coverage and better payment programs. 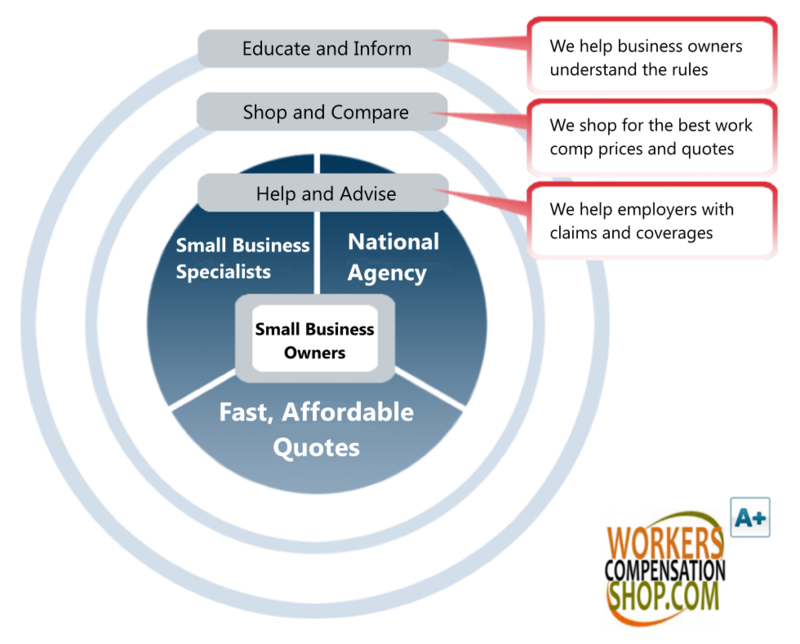 At Workers Compensation Shop.com, we've been a leader in Pay As You Go workers compensation since 2004. 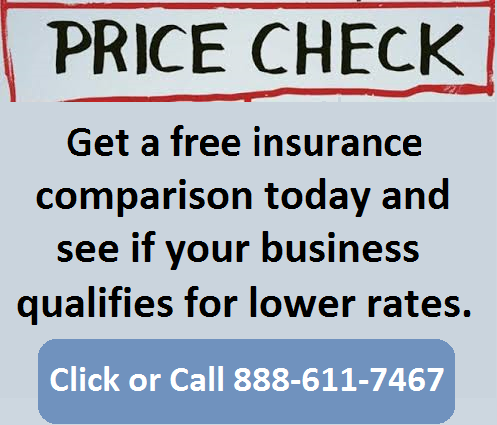 We offer competitive PayGo insurance quotes from over 35 insurance companies across the country. Hartford XactPay is perfect for small business owners with no minimum premium requirements like many other insurance companies. Start your Pay As You Go workers compensation quote online, or call one of our in-house work comp Specialists today to see if your small business qualifies for a Hartford XactPay policy.